Electronic duo Nikitch & Kuna Maze are celebrating the release of their ‘Mush’ EP, out today on Tru Thoughts. 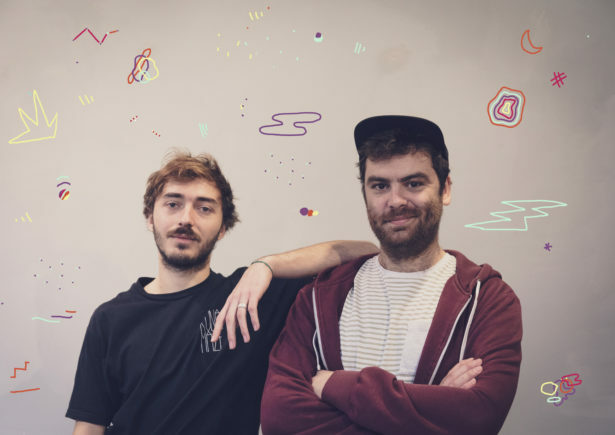 The French musicians return following their debut EP ‘Cake’. The five track release builds on their sound of jazz, progressive house, footwork, broken beat and down-tempo beats. Influenced by UK music, ‘Mush’ presents an amalgamation of French electronic and British underground influences. With support from Gilles Peterson, Lefto, Laurent Garnier, Nightmares on Wax and Toshio Matsuura, the ‘Mush’ EP has been hotly-anticipated. To mark the release of ‘Mush’, Nikitch & Kuna Maze have created an exclusive mix for Supreme Standards. Find out about more about the record below, from Kuna Maze. \\ Tell us the story behind how you guys started working together? We met a few years ago, when we were studying Jazz at Chambery’s Conservatory in France. We did our first collaboration on the train back to Lyon where we were both living at the time. Since then we became friends and have worked on each other’s projects. We released our first real project together – titled ‘Cake EP’ – on Cascade Records last year. ‘Mush’ is our second collaborative EP. \\ There’s a few UK vibes running through ‘Mush’; tell us about how UK music has inspired you? We are both inspired by UK music. I was first influenced by the post-dubstep scene in London, and then UK garage, broken beat, and the new jazz scene today… we were listening to a lot of music from the UK while working on the EP, so it’s only natural that those influences would feed into the sound of the record. I think that you can feel it while listening to it, too. \\ What’s your favourite track on the record and why? I don’t really know; actually, it’s hard to pick one from the EP… but if I had to choose, maybe ‘JPS’. I like the vibe and the fact that we managed to put different metrics in the track, but it’s still easy to feel.